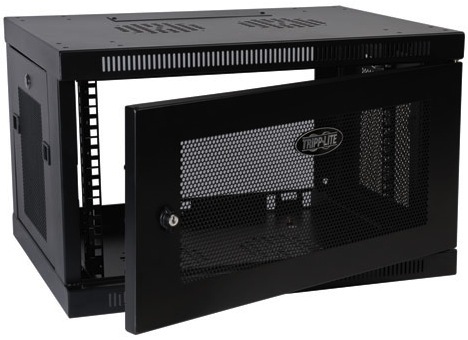 Tripp Lite has added a new 6U model to its line of SmartRack Wall-Mount Rack Enclosure Cabinets (model SRW6U). The compact SRW6U is an ideal solution for cramped network/wiring closets, remote network sites, branch offices and more. When wall-mounted, it frees up valuable floor space and with the addition of an optional caster kit, it becomes a mobile floor unit that rolls neatly into a corner or under a desk. The Tripp Lite 6U SmartRack Wall-Mount Enclosure Cabinet is available now for $215 MSRP.